And so they did and the church were signed to Arista records for whom we made four albums and sold a million records in the USA alone. It was that easy and we really couldn’t believe our luck. Arista was a very successful label with a diverse roster and being signed to them meant a meaningful investment was assured. We also felt confident that this diversity guaranteed little interference from the label in our music. The more imaginative acts they had signed seemed to support this idea. Their catalogue consisted of: The Patti Smith Group, Whitney Houston, The Alan Parsons Project, Lou Reed, Aretha Franklin, Iggy Pop and a selection of other disparate acts. It felt like we fitted in perfectly with this bizarre mix of left of centre enigmas and mainstream divas. The brain behind the label was music business legend Clive Davis. He famously signed Bruce Springsteen, and Janis Joplin to CBS records and was infamously fired for paying for his son’s bar mitzvah with the company’s money. But what a mentor he was to his acts, a Svengali figure who took fragile stars such as Whitney Houston under his wing and guided them to the heights of mega-fame. When we finally met Mitchell Cohen, he always used to refer to us as ‘Clive’s signing’. Everyone was ‘Clive’s signing’. We never actually saw Clive when we went by the offices in New York to sign the contract, but intrigued by his reputation we asked to meet this mysterious man who had signed us up without even meeting us. One day he appeared at the studio in LA where we were recording. It was like meeting Marlon Brando. There was some small talk (no-one really knew what to say) but I do remember he was incredibly tanned and looked rich. He didn’t stay long, but his charisma left a small burn mark on the seat where he was sitting. Clive had ‘the ears’ and knew how to recognize talent and nurture it and to be noticed by him validated your worth. There’s an urban myth that says CD’s were named after him. Whatever the truth, all we knew for sure was that we were signed once more to a major label in America. Moreover we were signed for two albums in pairs, so if Arista picked up the option after the second album they had to stick with us for two more albums. What’s more, incredibly, they didn’t want Australia/New Zealand. So we were free to sign to whomever we wanted in those territories. Mushroom Records picked us up immediately. Michael Gudinski, the label’s owner may not have been in the stratospheric league of Clive Davis but nevertheless he was an influential entrepreneur and creator of one of Australia’s most enduring record labels. In Europe, Arista signings were looked after by BMG, a major German based distribution company that controlled a host of labels in the European territory. Everything was in place, now all we had to do was make a great album. After Heyday we felt confident that the songs would look after themselves. But where would we record the album and with whom? We needed to find someone who shared our ineffable vision but also understood that the band was made up of different personalities and influences. We were all into different music and we agreed to differ on a lot of things but Steve always listened to the words first. Richard’s famous line when he joined the band was “Whatever happened to teenage rock?” Steve was into Bowie and Bolan, as we all were, but Peter and I also liked guitar bands. Steve could never get past the singers and the blues elements but we appreciated the players. I was always fascinated with Steve’s take on this. If the lyrics didn’t measure up he hated the band, so he could never really understand what we saw in Jimmy Page or Ritchie Blackmore because to him their outstanding guitar playing was compromised by damn silly words or blues clichés. To Steve, Marc Bolan’s guitar playing on ‘Elemental Child’ from the 1970 album A Beard Of Stars was impressive. To us, although we could appreciate it, it wasn’t in the same league as “real” guitarists like say Jimi Hendrix. To Peter and I these consummate guitar players were so great they could have had a hen singing. Their tone, finesse, creativity and technique were unquestionable and their influence helped shape our own skills. The likes of blues guitarists, Paul Kossoff, Jeff Beck and Roy Buchanan didn’t inspire Steve at all. But we did find common ground in Mick Ronson, Robert Fripp, Neil Young and some others. Two bands that we all liked were Be Bop Deluxe and Television. Bill Nelson’s extravagant flowery lyrical images were right up Steve’s street and we all agreed that his melodic soloing was fantastic. Tom Verlaine’s unique approach to guitar also impressed us, as did his dark lyrical observations (I later played on his The Wonder album, uncredited). We didn’t play Led Zeppelin or Deep Purple in the car – bands with screamers as vocalists. We all loved early Santana, but that’s probably because Santana had sparse vocals and that Latin beat. We found common ground in old and new, traditional and more obscure; The Beatles, Bob Dylan, Pink Floyd, The Stones as well as The Only Ones, early Ultravox and Joy Division. I was very much into Kraut Rock: Can, Amon Düül ll, Neu as well as The Pretenders first album and The Cocteau Twins. I loved Cream, The Small Faces and The Kinks from the ’60s. From the ’70s I loved Peter Gabriel’s Genesis and Gentle Giant and Hawkwind (Steve dug Hawkwind too) but I was equally into Sly And The Family Stone. I was a mad music fan and I investigated all genres and bought loads of records. (Nothing’s changed). I wasn’t just into guitars. 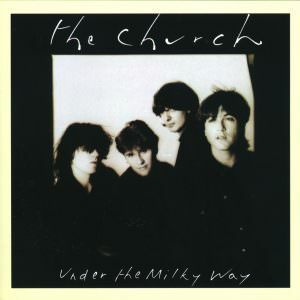 The lyrical concepts in the church interested me as much as the musical direction. I’d always loved Dylan and was open to any music that was put before me, whatever style it was, and it didn’t really matter if the lyrics were the focus or the singer or the songs. I gave everything a chance. 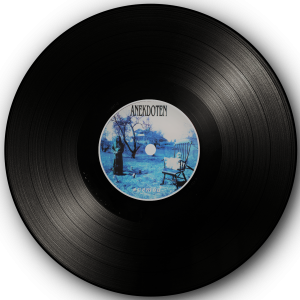 Steve introduced me to some amazing records: Late Night Movies, All Night Brainstorms by The Doctors of Madness was one example of a band with great words. The first two Big Star records had sparkling guitars, their third album was beautiful disarray and Peter Godwin and Duncan Browne’s Metro impressed us with their great songwriting. Although we managed to find like-mindedness in the music of the past, it was another matter when it came to music that was contemporary and commercial. At this juncture the push and pull of the personalities, tastes and attitudes had succeeded in molding a fascinating musical chemistry. However as individuals, we weren’t looking for the same things from music, from people or from the world around us so this made agreement tricky when it came to committing to the crucial decision of picking the right producer. For all our artiness we were looking for someone who could translate all these varied influences and interesting elements of the band into record sales – without compromise. Agreement came from an unlikely source. One of the songs we all liked around that time was Don Henley’s ‘The Boys Of Summer’, co written with Mike Campbell, the guitarist from Tom Petty and The Heartbreakers. It seemed to have a wonderful breezy feeling, a semi tragic sentiment in the words and some evocative lazy guitar lines. Although on reflection the drum machine and production sounds dated, the singing and the melody were really strong. We wondered who had produced and mixed this song; it turned out that the technical presence in the production team was Greg Ladanyi and he worked out of LA. He had produced or engineered many West Coast acts such as Fleetwood Mac, Jackson Browne and Warren Zevon. Not our scene at all but as it happened, Arista Records had recently employed Ladanyi and a well-known L.A. session guitarist/luminary called Waddy Wachtel to produce an album by a band called Stealin Horses. Arista suggested that we should also use them as a team. We agreed and so that was that – we had our production team and our location. We flew to LA and spent the next three months, rehearsing, recording and making Starfish. It’s bizarre to think that we made such a crucial decision based on hearing a Don Henley solo single on the radio, but that’s the church – anything can happen. Impulsive? Perhaps, but we had managed to make a decision that took us on the journey of our lives. What a different experience this was for us! Rehearsals were in Venice Beach, California – weeks going over and over the songs we had written and demo’d for the album. It was a long way from how we recorded Séance. The songs were analyzed and stripped down to their skeletons and then slowly rebuilt according to the West Coast’s approach. These guys were all about feel and tempo. It was two worlds colliding – the West Coast scene’s obsession with perfection and smoothness and the church’s predilection for jamming and psychedelia. We soon felt like the project was chained to a post, there was no chaos, nothing psychedelic and certainly no jamming. Richard in particular struggled to adhere to their strictness and when I listen to this record he sounds cautious. However, in retrospect it’s obvious that Richard needed to learn restraint. At live shows he played way too fast and tended to speed up. Consequently we weren’t doing justice to our material. We weren’t The Ramones and this frenzied live version of the band just wasn’t going to be acceptable to this production team. The band wasn’t happy, the relationship with Waddy and Greg was strained, Richard was very unhappy and the recreational inspiration had turned dangerously from green to white. It was LA! We rehearsed the songs until they were perfect, like a gang of bank robbers going through the plan over and over again till there was no room for error. When it came to the recording sessions we knew exactly what we were going to do. Waddy would come down to rehearsals and try and hear his kind of magic in our kind of music. At the same time we felt our kind of magic draining away. They were looking for something we didn’t value (yet) and vice versa. So much for our decision-making process in regards to working with the right people – this album was a huge compromise for the church and there were some extremely uncomfortable moments. Nevertheless, this rigorous pre-production was a fresh approach and ironically, this was to be our most successful album. However, I wonder how well it would have done if ‘Under The Milky Way’ hadn’t been written. With a freer approach could we have made a better record or was discipline just what we needed? All our previous records were recorded in Australia in the same studio so this was a major change. We lived in an apartment building for three months in Culver City on Sepulveda Boulevard close to the studio where we were to do most of our recording. The studio was called ‘The Complex’ and was a massive square faceless building. But inside it was oozing money, contained state of the art equipment and seemed to be inhabited by international celebrities. One minute you were talking to Jeff Porcaro from Toto in a TV lounge, the next you were passing Don Henley in the corridor. Linda Ronstadt would drop in and have a listen to what we were up to. David Lindley, Jackson Browne, Russ Kunkel – super famous session musicians and West Coast mega stars roamed the corridors like contented cats. The everyday presence of such elite, rich and successful personalities was (like LA) a distraction. However we had written some of our strongest songs and we were confident and inspired. The album was not solely recorded at The Complex. We also worked at Ocean Way, Village Recorders and Record One, all renowned LA studios. One afternoon at Record One I found myself sitting alone in the lounge, playing records and listening to Sticky Fingers when I heard a voice behind me. “No Jagger /Richards” I replied. “Hmm cool” said the voice, and then Neil Diamond returned to his live album mixing session in another part of the building. Meanwhile, the production team was steering us away from our dense sound and simplifying everything we did. Consequently, the band’s swirling soundscape was replaced by space between the instruments – our more adventurous approach tempered. We wanted to create a tension in the music, a random element with more improvisation in the recording. They were more concerned with having precise feels and controlling the music, defining us and making us more accessible. To us, their approach left the music lacking spirit. The restrained drums interlinking with the precisely played guitar lines and arpeggio’s, the bass the rhythmic glue, we were all cogs in the machinery of the new studied church. The lyrical ambiguity remained and we had made another giant musical leap away from the last album but this time we weren’t jumping of our own volition, this time we were pushed. The first track on the album was the cryptic, twisting ‘Destination’, a good example of how far we had come in terms of writing as a band and the development of our sound. ‘Destination’ starts with a guitar loop of Peter’s digital echo unit, followed by the constant low register bass thump, expressive pling and crying guitar lines that lead to the volume swells. The song takes you on a journey without moving, heading for a place you may not even be sure exists. “It’s not a religion it’s a just a technique” Is it in the mind or is it real? It doesn’t matter either way. It’s as likely to be something mystical as it is something straight forward but, like all the best church lyrics, you’re not sure where you are going or whether you have already been there. 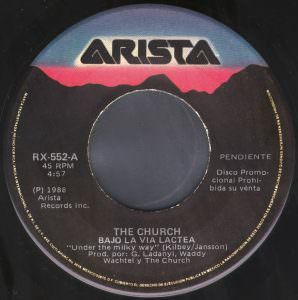 Arista released this song as a single. The light and shade of the arrangement, the builds from the verse into strident instrumental sections, the volume swells in the quiet choruses – great mood, great words, great guitars, great melody, great songwriting, bad single. Steve hated the motorbike roar that appears in the middle 8 and Ladanyi refused to remove it from the mix of the song. His idea was an affront to our sense of taste – we wanted to be subtle, he wanted Hollywood. Greg Kuehn added some lovely flourishing piano to the track. Greg was another one of the many ‘fifth member’ keyboard players that floated in and out of the church over the years. A former member of LA band T.S.O.L., he played with us on our 1984 US dates and, being an LA resident, we recalled him for this album. Happily Greg was the polar opposite of all the LA clichés. But LA’s culture of fakes, guns and moral hypocrisy managed to penetrate deep in to the church’s psyche as a whole in these three intense months living in LA. 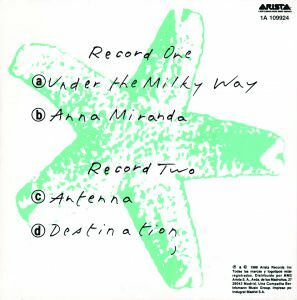 Written by Steve and Karin Jansson, his girlfriend at the time, ‘Under the Milky Way’ was picked out by our manager from a selection of songs on a demo tape as a ‘must’ to record. Dare Mason my oldest and best friend who produced Sometime Anywhere (and is the editor for these sleeve notes) told me that Steve told him that when Mike Lembo heard this song you could see the dollar signs in his eyes. 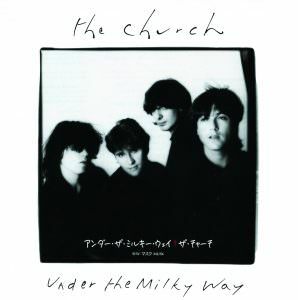 The huge success of ‘Under The Milky Way’ since its release has amazed us all and interestingly this song was produced differently to the rest of the album. 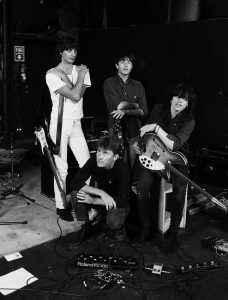 The other songs were recorded in the normal way – go into the studio as a four piece and attempt to get a good take as explained on previous sleeve notes. Generally we played to a click track to keep Richard from speeding up during the take. In regards to ‘Under The Milky Way’ a demo was given to the ridiculously named Awesome Welles, one of The Complex’s specialists who transferred it into a complicated piece of expensive and (at the time) mind blowing equipment called a Synclavier. Essentially this was one of the first series of sampling keyboards (along with the Fairlight). So the demo walked out of the door as a simple cassette in Awesome Welles’ hand to be manipulated by the most sophisticated piece of machinery in the house. Famous session drummer Russ Kunkel helped with the drum part. Perhaps it was contractual but he wasn’t credited on the album. Try typing his name into Wikipedia to check the iconic records he has played on. (There is not enough room here). We left them with the demo and carried on with the rest of the record. When the song was returned to us some days later (or was it weeks?) they had constructed a skeleton that needed skin. It had sampled drums and cymbals, sequenced bass and an odd backwards bagpipe solo in the instrumental section. But even in this form it had something magical about it. As a drummer, Russ Kunkel has an irresistible feel and on this stark work in progress he had given us ‘a bed’ to overdub onto. My parts on the song were the 12 string acoustics. There are actually two rhythms played on different parts of the neck, one using a capo on the 5th fret, the other without a capo. The blend of the two make it hard to pick out the individual parts but the easy strum and evocative chord sequence introduce Steve’s naked yearning vocal perfectly. A whole verse later the band comes in. Notice the second note on the bass – this is a powerful musical moment and helps contribute an unusual musical richness to what might have been a less intriguing song had it not been there. Peter’s beautiful ethereal Wah-Wah electric guitar sends sparkling waves through the fragile shell of the song. A journey into something deeply philosophical ensues. There’s something about ‘Under The Milky Way’ that takes you to another place, some timeless deep humanity that connects you to the stars, something that perfectly encapsulates you in the universe at peace in the great unknown, something that makes you close your eyes. We have lost count of how many times it has been covered. It’s a song that has its own life. It’s bigger than the band, a song that people who don’t even know the band, know. 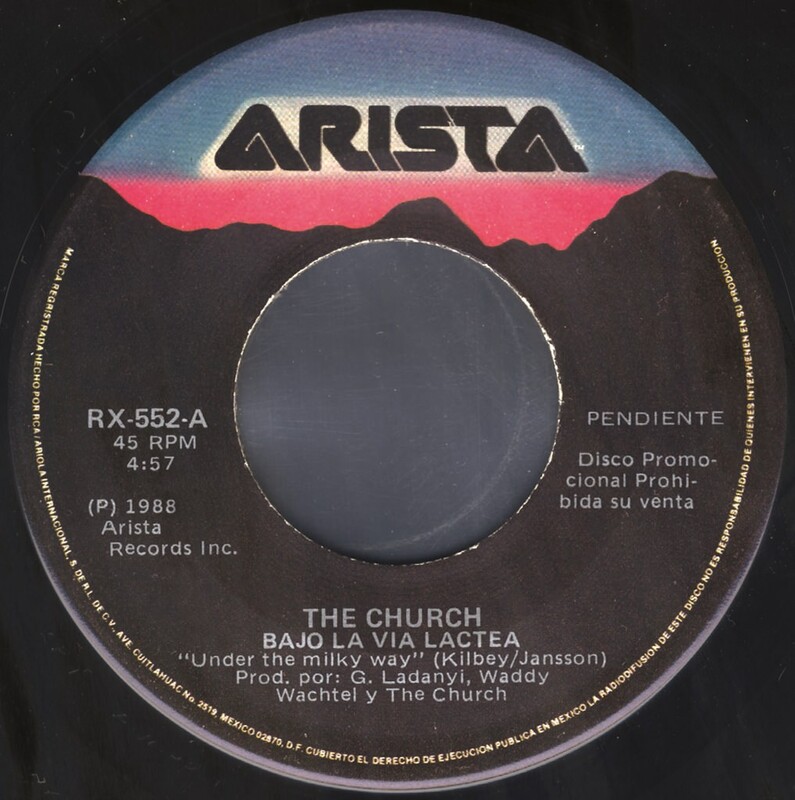 The song rose to number 24 in the US charts and catapulted the church briefly into the American mainstream. 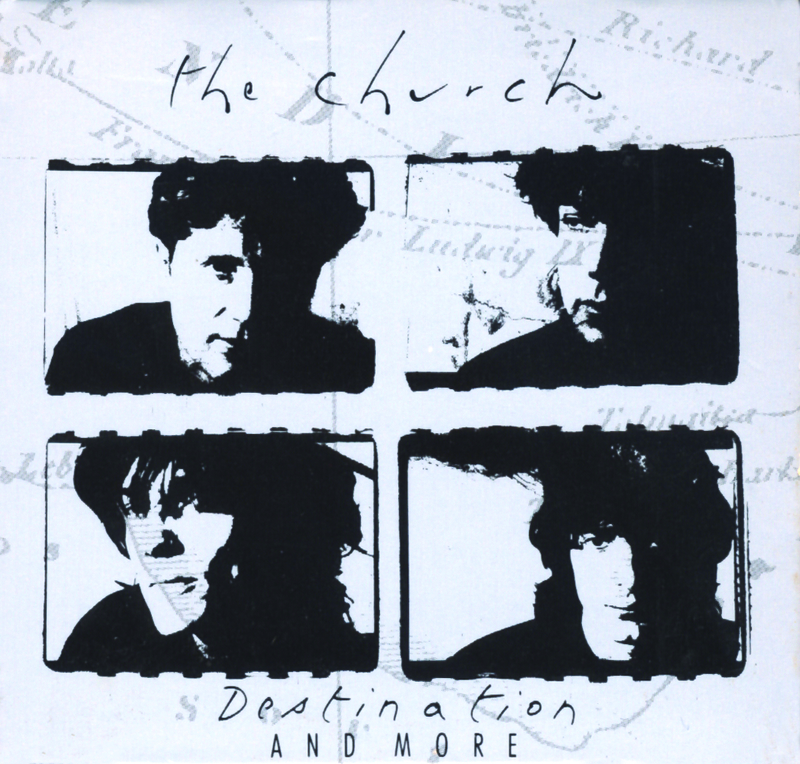 Everyone wanted the church on their TV show all over the world – every country wanted us to come and play. Luckily, Melani Rogers in the press department at Arista completely understood the band’s media reticence and carefully coordinated the onslaught in the US. By the time we’d toured around the world, they wanted us to start again. No expense was spared to promote Starfish. 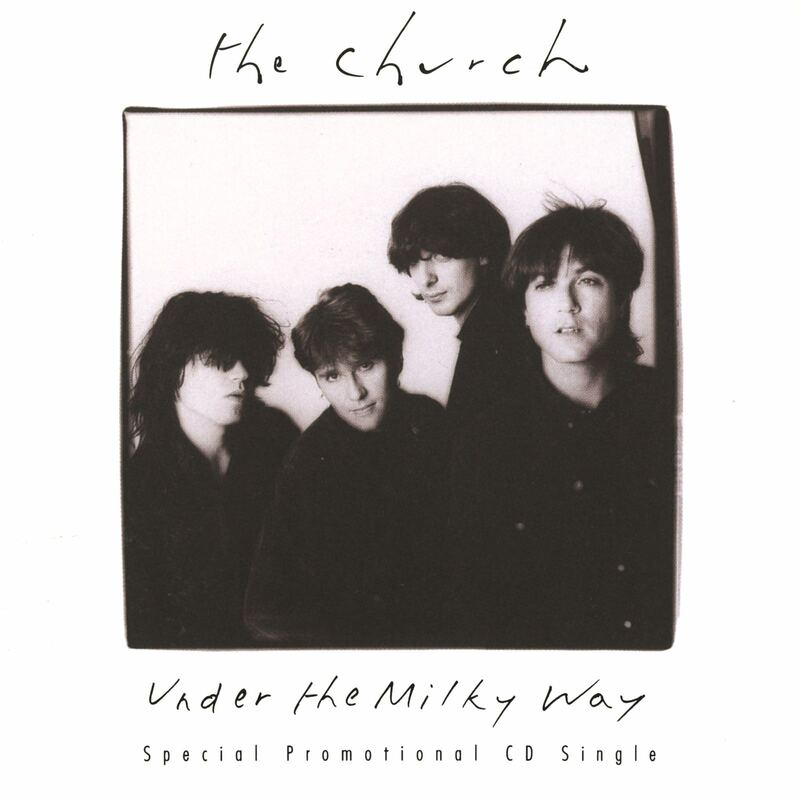 The video for ‘Under The Milky Way’ was constantly aired on MTV and allegedly cost US$100.000. I remember it featured the director’s daughter roaming around New York with a picture frame. The band was filmed in a studio in LA. In the video I played a 1948 Rickenbacher (its pre-’50s spelling) graciously loaned to me by John Hall, the owner of Rickenbacker guitars. The mirror balls glitter and the sidereal light show spreads bright diamonds over the band’s bemused faces. We had no idea at the time of how this song would single handedly write us into the history books and send us into the American singles charts. Meanwhile, we were still struggling conceptually with the stiffness of the other songs. ‘Blood Money’, the third track on Side One, was rehearsed and pummeled into submission till it could no longer breathe. Every part of it was scrutinized. Peter’s intro guitar set it up like some kind of detective story. My 12 string slid into the picture like a character thrown into an obvious plot. Still, when it was used on an episode of Miami Vice it made much more sense. But it seems overworked on the album, lacking sass. Greg and Waddy were breathing down our necks. Waddy at least related to us as musicians, whereas Ladanyi was the most arrogant man we’d ever met and had no idea how to communicate with us. It was as if he’d been buried in the metaphorical white mountains of the West Coast scene for so long that there were no horizons beyond. It was a flat earth and a mile outside LA was the end of the world where everything fell off into an abyss. I remember on one occasion when we were working on a song and after a few takes we finally thought we had it. We enthusiastically came bounding into the control room only to find Ladanyi with his feet up on the mixing desk and wearing a supercilious grin. “Right, I’m off to play golf” and he was gone. It may have been that he was unsure of his role on this record. He had been the producer/engineer on many of the records he had worked on. However, we already had an engineer, expat Englishman and all round nice guy Shep Lonsdale. He used to be The Doobie Brothers’ live sound engineer but was also a drummer who had played with a band called Charlie – very appropriate for this session. Having Shep looking after the technical side and Waddy the musical side, Ladanyi seemed superfluous to requirements. Still, he probably made some important sonic decisions that we weren’t privy to. Whatever production skills he may have had, he was never able to make us feel at ease. Working with him was always tense and because we didn’t easily bend to his point of view, there was no love lost between us. After co-producing Fleetwood Mac’s Behind The Mask and his initial success with Don Henley, Jackson Browne and Warren Zevon he seemed to be working less prolifically in recent years. In 2008 Greek Cypriot artist Anna Vissi released her Apagorevmeno album (“forbidden” in Greek) that had been produced by Ladanyi in Los Angeles. Shockingly he died in Cyprus on September 29, 2009 after falling 13 feet from the stage, just before Vissi’s performance at Nicosia’s GSP Stadium, suffering a fractured skull. The mellow ‘Lost’ came from a chord sequence that I wrote on the spur of the moment at one of our writing sessions; nothing special (C/Am/F/G) but it had a peculiar little skip in the half rhythmic, half arpeggio part and it was an example of how a familiar chord pattern could suggest a song that hadn’t been written, even though thousands of songs had been written using the same four chords. There was something captivating about that arpeggio and the ringing open strings. It was a song that wrote itself. There was a wonderful punctuating bass and drum accent at the end of the sequence that really made the chords sound different and special and the guitars jangled and sparkled like jewels. Steve added the casual vocal and colourful words including the surrealistic line “It’s an exquisite corpse and its lips are red”. The song was the verse. It had a one-chord chorus and strangely changed key in the middle 8 where I played a peculiar incongruous half dream solo over a wonderful arpeggio from Peter. But it was as if a different song had hijacked the original idea, softly barging in before the original chord sequence reappeared. The song loses its way a little in this section but when all the arpeggios return at the end for a long sparkling outro, all is forgiven. The arpeggios spiral and swoop, falling like shards of glass into a crystal sea. It’s the ringing, entwining and weaving church guitar sound at its very best. ‘North South East West’ was a tour de force of guitar power. But it was also strong lyrically. Starting with Peter’s driving guitar chords, the drums tumble in under a short punctuating Rickenbacker 12 string stab. When the bass comes in, my Rickenbacker takes the song into full flight with a rousing and electrifying fluid lead guitar riff (unusual part for a 12 string) driving the song forward to the verse. “A war’s being waged and the world’s just a stage”… “The real estate’s prime, the number plates rhyme”….“Wear a gun in the crowd but bare breasts aren’t allowed”… “Dream up a scam and then rake in the clams”. Written by the band and the last track on Side One, we succeeded in capturing all the ingredients that we considered to be the important elements in a church song. This was intelligent rock where music, words, guitar tones and parts, bass lines, drums and dynamics all came together perfectly. “The face of today just a scalpel away”. Steve had found himself immersed in the culture of his surroundings. Bombarded by American life; its pleasures and its perils, a constant tap turned full on 24/7 and impossible to escape. We didn’t need to invent a fantasy world – we were living in one. Truth was stranger than fiction in this bizarre circus called Los Angeles; city of Angels, but angels with distorted plastic faces and questionable values – a city of 6 lane freeways, endless traffic jams, choking smog and unbearable heat that turned into an icy chill at night. Everyday we witnessed the extremes of riches and poverty. Billboards of the Marlboro man tall as the buildings on Sunset Boulevard loom above promoting a dream we all know is a lie. Someone told me that the model that portrayed this indestructible steel cowboy died of lung cancer within a few years of becoming the iconic image for the world’s favourite cigarette. In the ’80s in LA there were huge billboards of a girl called Angelyne. She wasn’t selling anything; in fact she was a bit part actress in some dubious Hollywood films. But there she was plastered on billboards over Sunset Strip staring down with nothing to say. Sometimes we’d see her drive by in her pink Corvette. One presumes she was kept by an eccentric sugar daddy, to what end one can only imagination. The most famous face in LA was the face of a nobody. LA has so much material to inspire lyrics there’s no need for fiction or dreams. Just drive around for an hour and see drama after drama unfolding before you. ‘Spark’ opened Side Two of the album with something of a bang. It was quite out of place and more like a new wave song; pop/punk like The Jam. Still, everyone seemed to like it and it had a stirring chorus. The song seems to have hundreds of chords and yet it sounds really simple. A punchy verse morphs into descending guitar lines that support a memorable melody with some creative drumming parts from Richard. It was written on my Fender El Rio 6 string acoustic guitar and demo’d onto a cassette player. That guitar is in some way responsible for the style of the song. A thin bodied acoustic with an electric guitar headstock and an electric guitar action with a snappy tone, it wrote ‘Spark’ for me and although the song has a certain incongruity somehow it all makes sense in the greater scheme of the album. 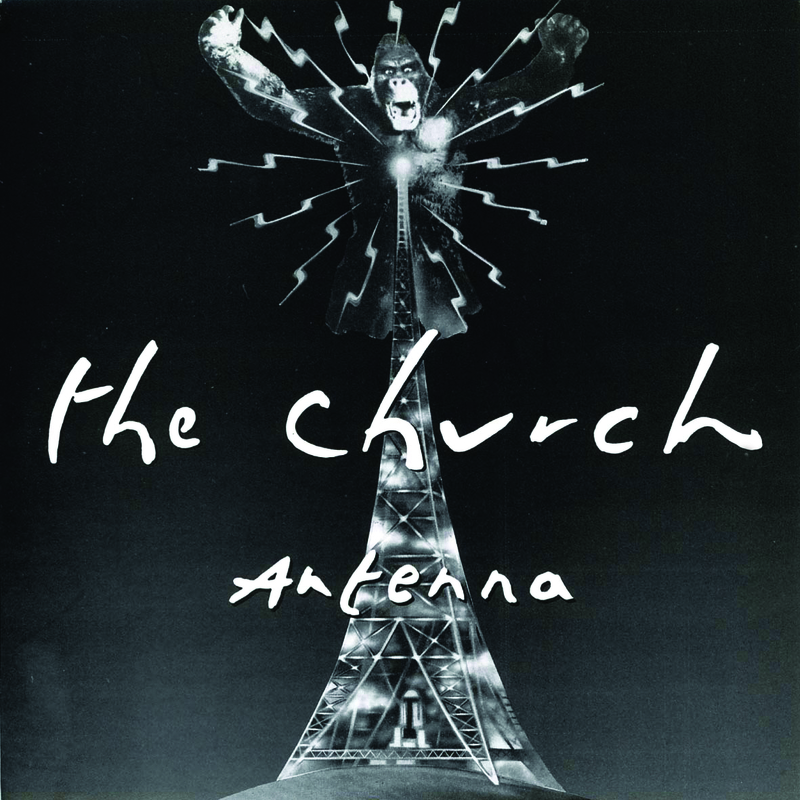 We were all very fond of ‘Antenna’. We loved its melodrama and addictive waltz rhythm, but it didn’t quite work live. It featured the almost Jamaican David Lindley on mandolin. (He spoke to us in a jovial Jamaican accent every time he saw us.) You can hear him in there somewhere after Peter’s intro but later he gets buried behind my distorted guitars. Another of the cream of LA session musicians, he was a very cool guy who was famous for his “feel”. That’s what it was all about down there at The Complex studios…having the “feel”. Musicianship per se seemed to matter less. Everyone we were working with seemed to be tuned into this idea of the magic take, based on the “feel”. It was something that the church had ignored on the road to experimentation with complex layers of sound. Interestingly we hadn’t really been willing or able to confront the issue of tempo within the band. Waddy came down on us like a ton of bricks about this and Richard was under constant attack. All this would lead to serious problems on the next album Gold Afternoon Fix that would change the shape of the band forever. Waddy had played guitar on literally hundreds of albums and he stood his ground on this and wanted the band to understand how important it was. He had played that chugging guitar on ‘Edge of 17’ for Stevie Nicks. He had played on ‘Bette Davis Eyes’ (apparently a first take) and was about to form the Expensive Winos with Keith Richards….his dream. He was best friends with Keith and you got the feeling he thought it should have been him, not Ronnie Wood, in The Stones. There was no messing around when it came to putting down takes and the reference points on his CV were impressive. But if you’d told Waddy you’d written ‘Lucy In The Sky with Diamonds’ the first thing he would say is – “how’s the tempo?” That was his field, his speciality. I don’t know if this is true but Steve has an amusing anecdote about Waddy being in an Indian restaurant listening to the piped music and commenting on how the sitar was rushing against the tabla. ‘Reptile’ was the highlight of Side Two and one of the most memorable tracks on the album. I wrote the riff in a rehearsal room somewhere in Sydney; it just fell out of my guitar like a diamond. Sometimes it just happens like that, but a riff is only as great as the song that follows it. 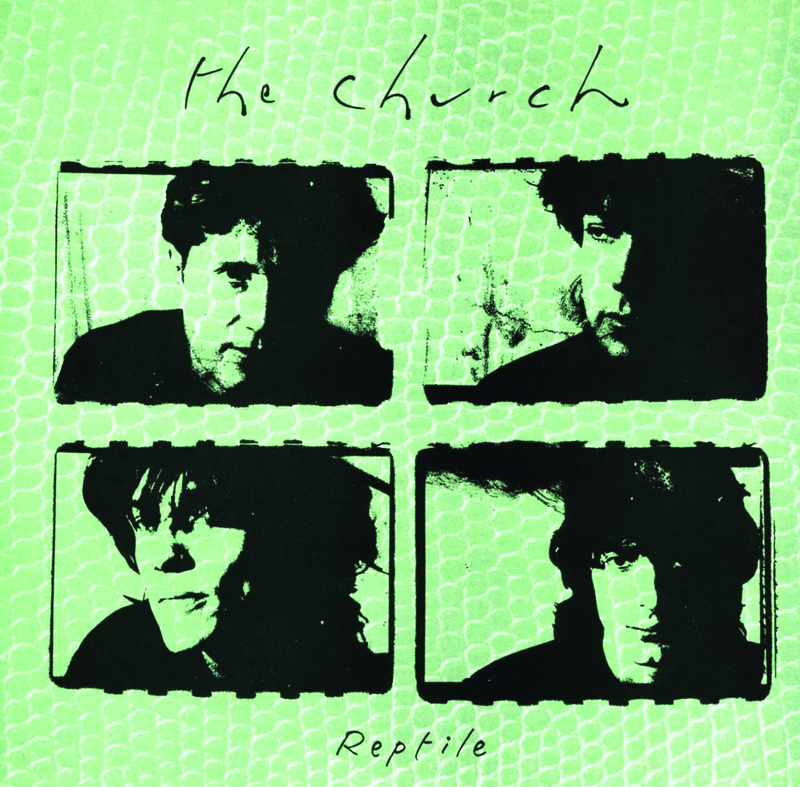 It wasn’t just the lyrics and melody that made ‘Reptile’ one of the great church songs; everyone contributed their own crucial part. Sometimes a song can be mainly one persons idea augmented by everyone else. Other times a song really is the sum of the parts working magically together. This was the case with ‘Reptile’. Peter’s soaring guitar line, Richard’s intense hi-hat rhythm and Steve’s melodic bass line, acerbic lyrics and perfect melody brought this song to life. “You slither away with a sting in your tail with your flickering tongue and your rattling scales”. 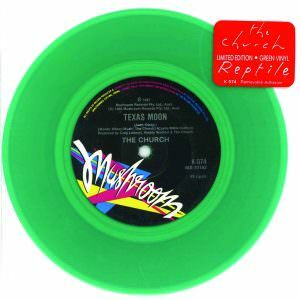 Although ‘Reptile’ found itself buried in the middle of Side Two it became a fan favourite and an enduring song in the church’s repertoire to this day. 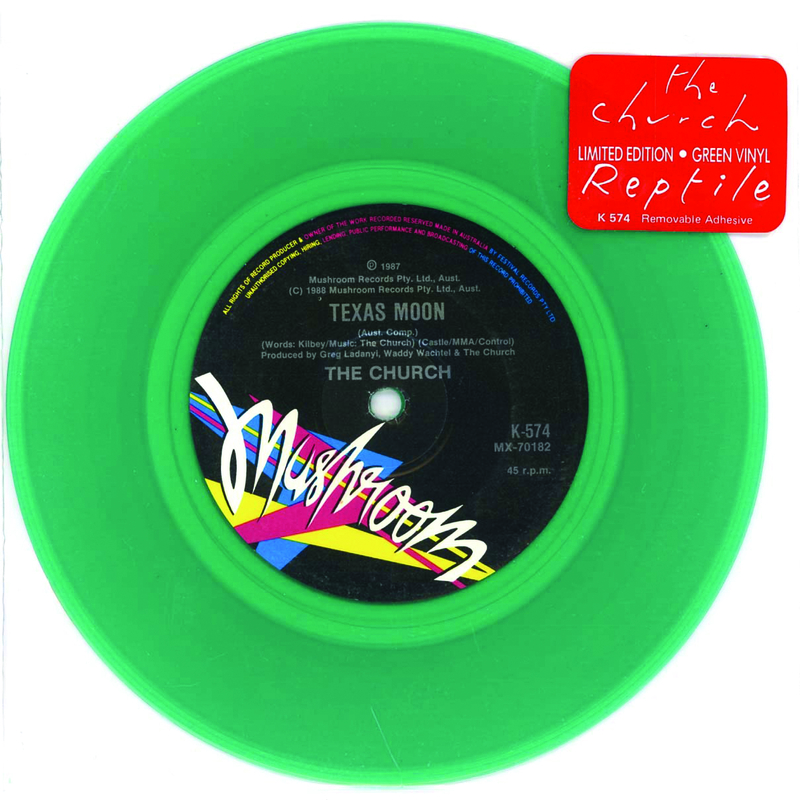 A radio hit in some cities in the USA it was promoted with a plastic snake in a cardboard box and was released as a single in Australia on 7 inch green vinyl with a see through plastic sleeve. ‘Hotel Womb’ the last song on the album is a moody masterpiece from Steve. It has all the tricky elements necessary for that most elusive of song styles, atmospheric pop. Starting with a short soft wave jam and taken over by the gossamer touch of naked brushing finger strokes on my Rickenbacker for the intro chords, keyboards and bass are taken over by drums and Peter’s chugging electric Stratocaster. The vocals are a confident melancholy – “Volcanoes pierce the air, ashes block out the sun”. Is this song about awakening from a dream and returning to your bed in the company of the character of your night’s adventures? A stirring instrumental section builds into a frantic solo from me, always a high point live. This song is a gem ending a landmark album of songs. 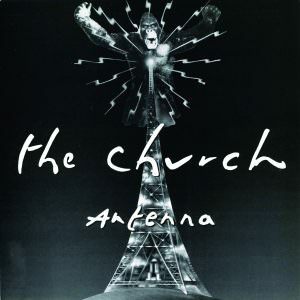 The great irony was that our most uncomfortable recording experience spawned our most successful album and became the church’s commercial peak. Starfish went gold in the USA selling in excess of 500,000 copies. In Australia where the band was more established the album also went gold, ‘Under The Milky Way’ peaking at No. 22 and winning the band the Best Single ARIA award for 1989. The exposure ‘Under The Milky Way’ received on the radio and MTV persuaded new legions of American fans to investigate the album by this brand new band from Australia. They had no idea about our previous records and were totally unaware of the early eighties Australian hits. This simpler version of the band appealed to the masses but to us it was just another stepping stone on the journey of our imaginations and we wondered why our previous albums hadn’t reaped the same rewards. Starfish was our fifth album and we were surprised by its success nine years after the band had formed. However, we weren’t satisfied with success for its own sake. 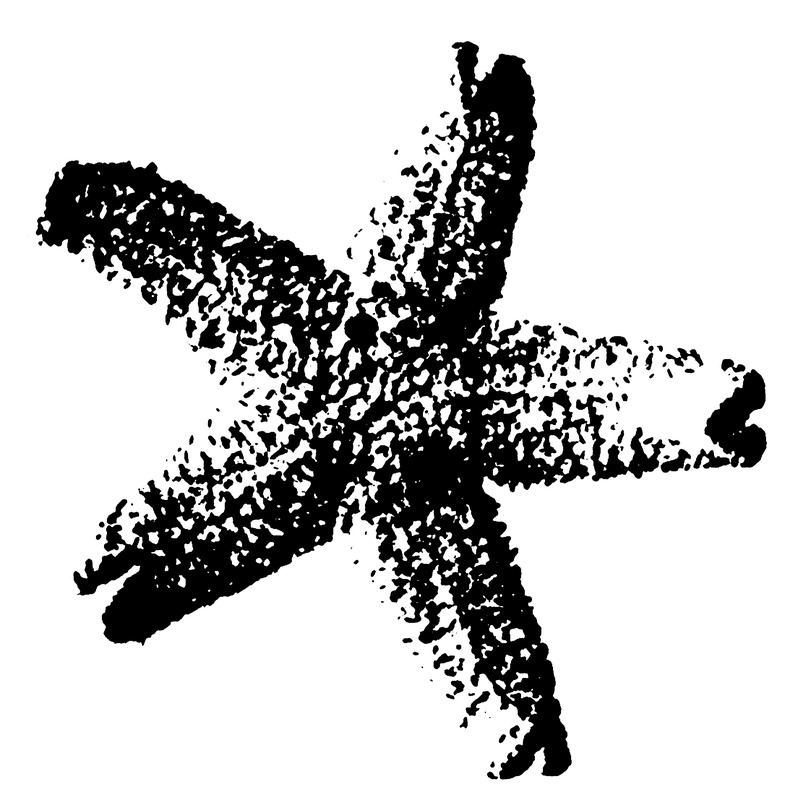 Starfish was just an interpretation, a parallel universe where the church were popular. Following it up wasn’t really on the agenda and consequently we disappointed our fans, the record label and ourselves with our next album Gold Afternoon Fix. Even though the album did include a minor hit with ‘Metropolis’ we failed to attract many new fans. It was certainly a weaker record than its predecessor in terms of the quality of the songs and the production. The zeitgeist was now residing in Seattle with the advent of Grunge and the emergence of Nirvana, Pearl Jam and Soundgarden. From this point onwards our subsequent Arista albums sold steadily less. It might be hard to see anything positive in that but ultimately the band had to find itself again artistically. We weren’t consciously attempting to follow Starfish up from a commercial stand point. We simply wanted to make another album in our own way. Unfortunately we drifted even further away from our raison d’être on the unsatisfying Gold Afternoon Fix. But after the compromise of Gold Afternoon Fix and its predecessor we then made Priest=Aura a more absorbing album for the true fans albeit a more difficult album for the masses. 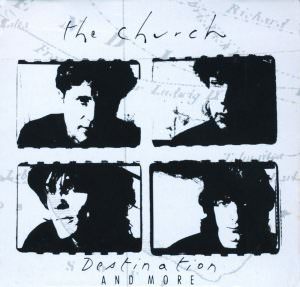 But then just as we thought that we were getting back on track artistically Peter left the band and Steve and I made the more experimental Sometime Anywhere, the album that introduced Tim to the church. It was often said that the church didn’t have a black bone in their body. It was only with Tim joining the band that we found that feel and experimentation could work hand in hand – something perhaps neither the producers or the band knew at the time. On a final note I must mention the cover art. The photos were taken and treated by photographer Caroline Greyshock but the artwork was put together by a wonderful lady at Arista records called Maude Gilman. Maude was Arista’s art director and has since sadly passed away but she was a great friend to us at the label, working closely with us on cover art concepts and ideas and putting her heart into her work. 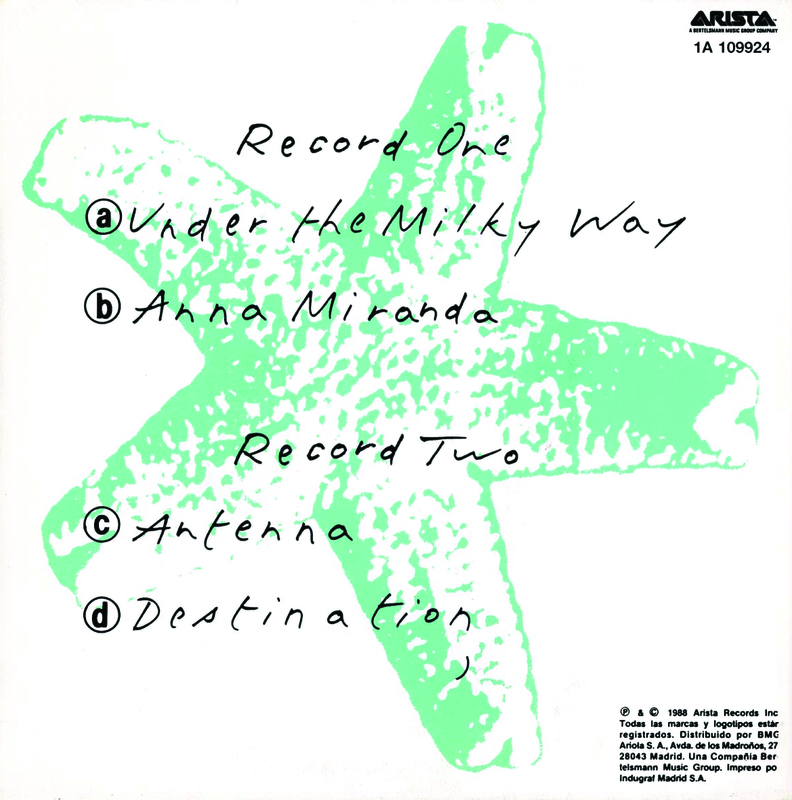 All the Arista album covers were either based on her ideas or at least included her tremendous input. 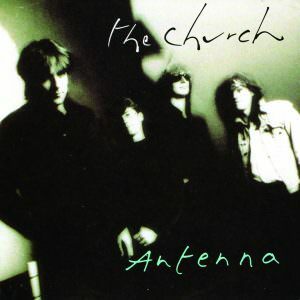 The cover has a certain timeless quality and a simple sophistication that suited this less complex version of the church perfectly. 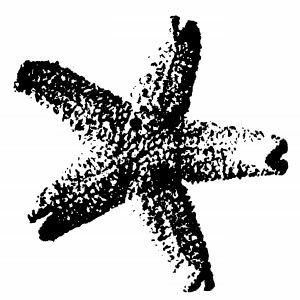 Interesting to add that when the label heard that we wanted to call the album Starfish, Steve had to write a rather involved letter explaining what it meant. Of course it didn’t really mean anything but the letter convinced them that there was a plan. It seemed like everyone in America needed a reason, no one could understand art for art’s sake or random elements which are essentially what the church have always been about. Explaining ambiguity was just another part of the absurd game we were playing.